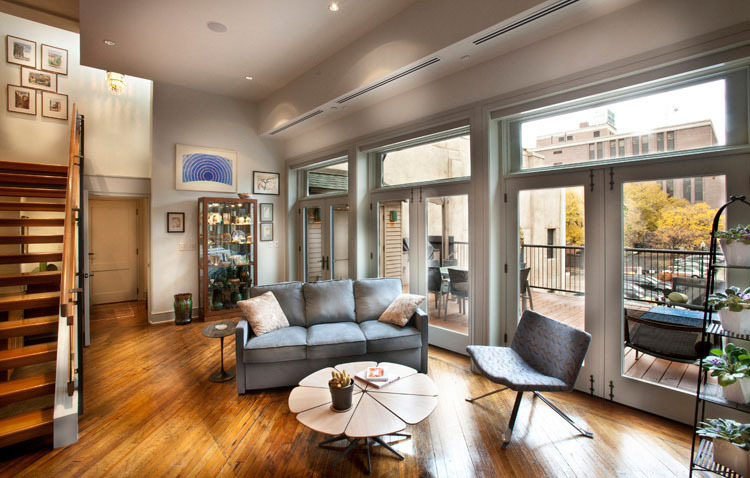 This loft-condominium home transformed a space in an historic center-city building that had been vacant since 1930. It reflects the best achievement in reuse of an abandoned space. 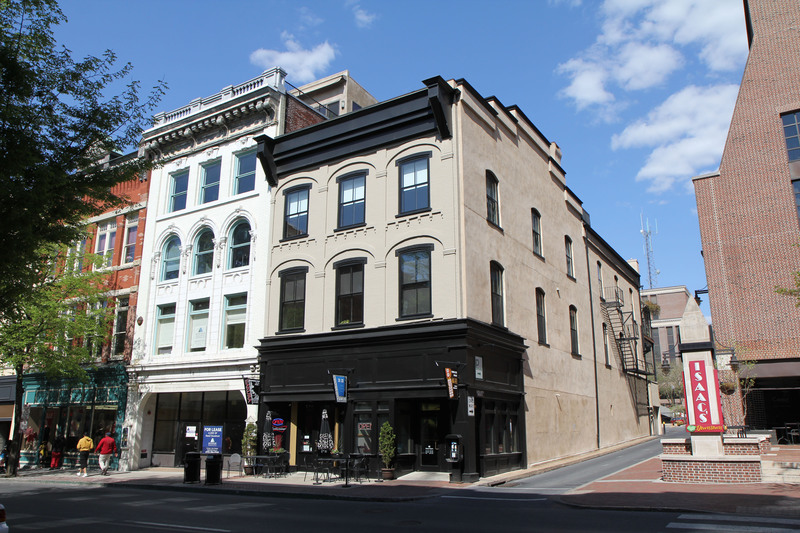 The project, built by Hammel Associates, was partially financed by a PA DCED grant and historic rehabilitation tax credits. It utilized 75 subcontractors and vendors, who ultimately created a spectacular home with multiple elevations that are open to the urban landscape below, a massive central area for living and entertaining, and private spaces for relaxing and quiet indulgence. A casual living area at the rear of the main floor becomes a sunroom that connects to outdoor living through expanses of French doors and transoms. 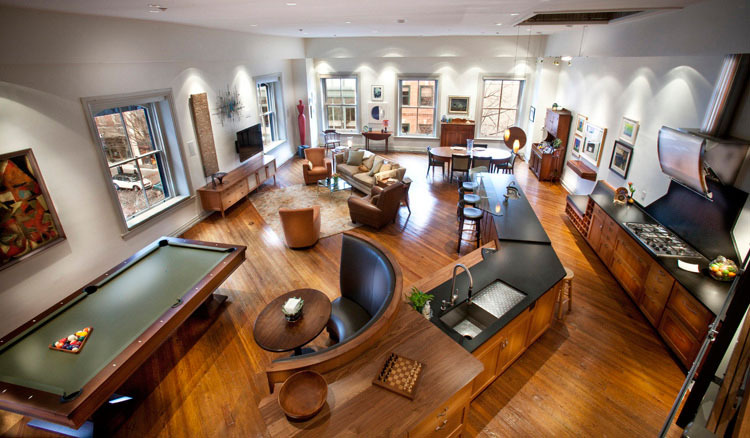 Contemporary architectural elements and furnishings contrast with the 1868 building, both inside and out, such as the original wood floors remaining from the space’s original use as a hat factory. The abundance of natural light creates a solarium bright enough for indoor gardening. The stairs in the sunroom lead to the cozy loft area with built-in bookcases, and natural lighting enhanced with recessed can lights. The periwinkle walls provide a colorful accent opposite the solid glass. Interior windows in the staircase further connect the sunroom to the loft area above. This casual area is a private retreat that connects with the master bedroom as well as a hallway to the main living area of the home. 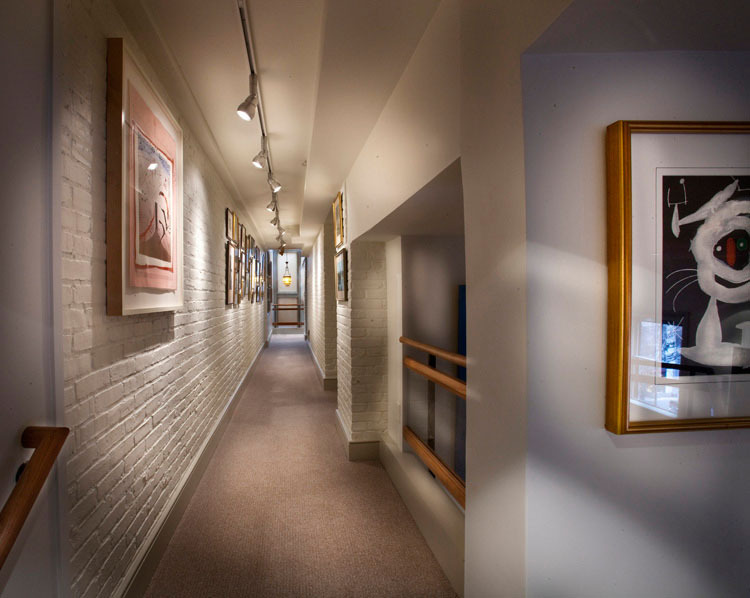 The loft corridor was originally a walkway between two buildings. The original brick exteriors were preserved, painted white to create a lighter ambiance, and the new corridor is now a focal point used as an art gallery that connects the front of the home to the back. Multiple fixtures in the track lighting can be angled, dimmed, and brightened to spotlight the art, adding bursts of color along the passageway. Gourmet kitchens are a highly desired feature in upscale housing, and this kitchen galley is expertly designed for the ultimate gourmet experience. There are ample expanses of countertops, a wet bar and wine rack built into the cabinetry, and minimal top cabinets that make all cabinet heights easily accessible while providing room for more displays of art. 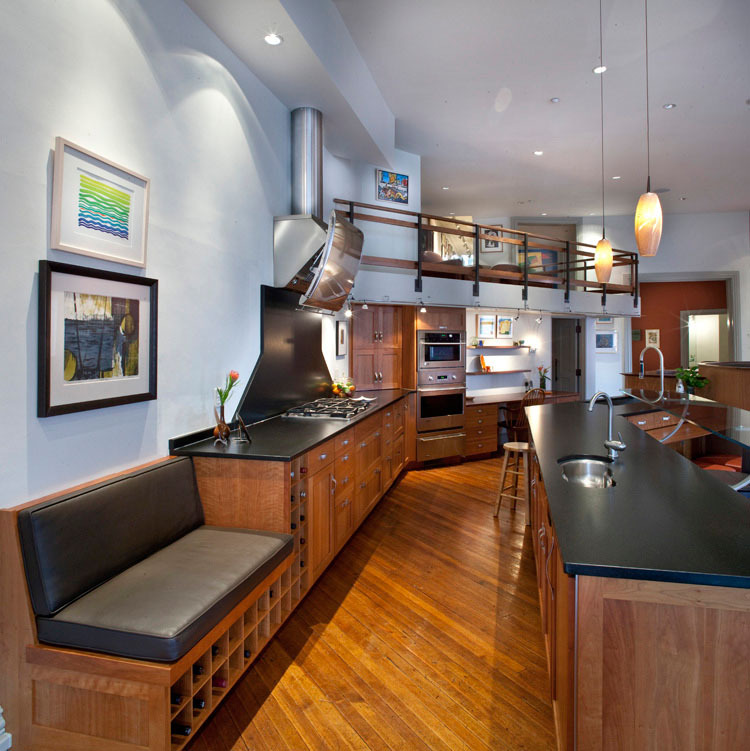 The materials used are a rich combination of cherry cabinets with walnut accents, black granite countertops, and stainless steel appliances. The street view of the building, with its black and white façade, echoes the sophistication of the loft condominium on the top floor. Expanses of windows on the front and side fill the loft with natural light, and were repaired rather than replaced. The newly repaired windows include triple track storm windows with tempered glass that improves thermal performance. 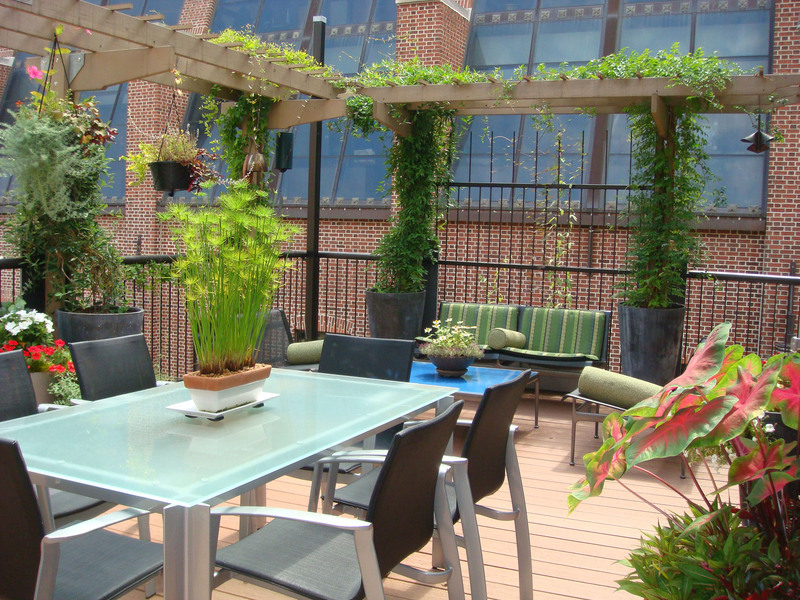 The outdoor living area on the rear deck is an oasis of green within the cityscape. Container gardens abound in this eastern and southern exposure, providing a colorful, nature environment at multiple levels. Trellises support tall perennial vines. Containers of varying sizes provide a living border of flowers, foliage plants, and small trees. The building shades the plants from the hottest late-day sun in the west. This combination provides a sunny morning place to enjoy a cup of coffee and a shady place for evening relaxation.